We’ve continuously improved our business this year, with new facility upgrades and the launching of new product ranges, whilst celebrating our team’s successes and sharing their talents for all to see. 2018 has seen an exhilarating year of hard work and investment in our facility, our people, our products and our future. From facility upgrades which saw significant improvements to our fermentation, laboratory, production and staff amenities, to travelling the world to showcase what our products can do, read to see what our team’s been up to this year – and we’d like to thank you for being a part of it so far! The first half of our year began with a substantial investment in our facility. In July, we fitted brand new antimicrobial flooring throughout our facility as part of the ongoing site refurbishment. The new flooring is the most effective material of its kind on the market today. 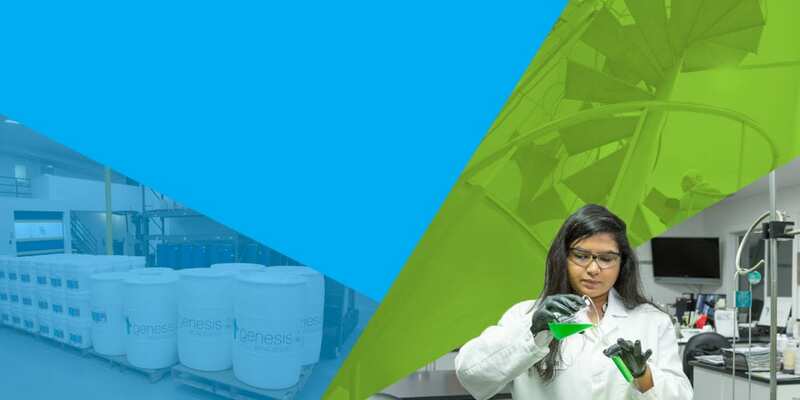 It will provide maximum safety and hygiene in fermentation, production, downstream processing and the warehouse areas and will therefore ensure continuity of the high standards you’ve come to expect from Genesis Biosciences. It will also bring us closer to our goal of cGMP, FSMA compliance and ISO22000 certification. 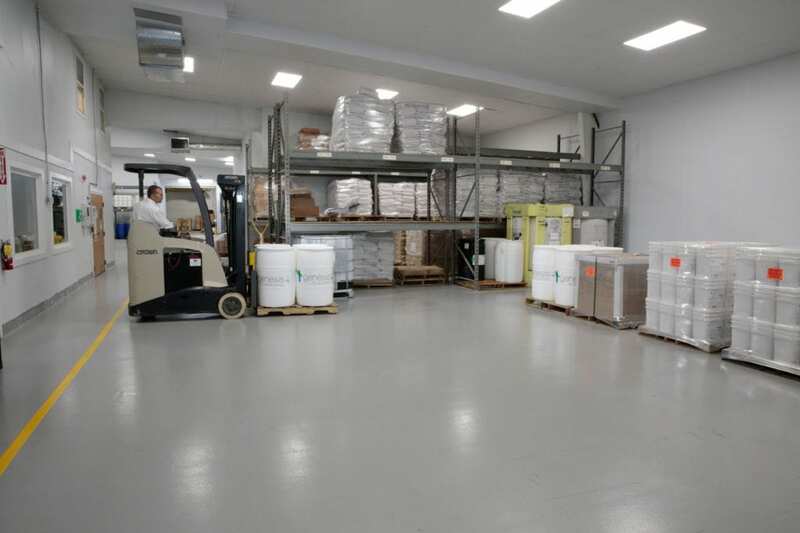 We built new areas within our facility – greatly expanding our capacity. We completed our lab expansion to support the infrastructure for growth with the addition of two new labs that give us dedicated areas for additional research and development, three office suites for our technical staff and a new retention sample room along with the full refurbishment and repositioning of the existing laboratories. To enhance process efficiency and provide a sanitized and safer working environment, we constructed a purpose-built enclosure for our outside fermentation equipment. 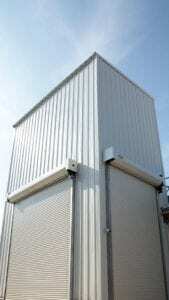 This is now connected directly to the facility which allows for a dry environment with a constant ambient temperature. 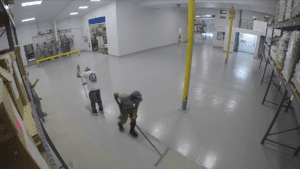 We also saw a full remodel of all walls and ceilings within the facility and upgraded to non-porous cleanable surfaces for improved sanitization. We also optimized our downstream processing by moving our new spray dryer, centrifuge and other downstream processing equipment into a fully separate, sanitized suite within the facility. Our hardworking team of experts show why our ‘investment in people’ is so essential. To improve comfort throughout the facility, we implemented new HVAC throughout our entire business for complete climate control for increased staff comfort, maximum energy efficiency and decreased environmental risks. We added a whole second floor to the facility including new conference and meeting facilities, a new administration suite, sales and customer service departments and further offices to accommodate our expanding team. This allowed us to repurpose ground floor space where we added new offices to accommodate our laboratory, regulatory affairs, fermentation teams, and several meeting rooms. We’ve not finished investing yet – and we’d like to show you more. These upgrades to our facility dominated much of our summer period, but we’re pleased to say we are currently working on the addition of a brand-new, on-site facility to house the expansion of our production department and allow us to add additional fermenters and downstream processing equipment so we can continue to meet our customers’ expectations whilst our company grows. We’ll also have new and expanded parking facilities to accommodate our growing team and visitors to our facility as we always enjoy visits from our customers and associates! In the meantime, as we develop these additions, we’d like to invite you to ‘take the official tour‘. We released the tour in August, and we’d love to showcase our growing capacity, our state-of-the-art equipment, and our specialist team of experts. This year, we brought two more ranges to our digital portfolio. Our Evobac and Evozyme ranges were already established within our customer base – but they had yet to make their mark on the online world. These microbial formulations offer ease and simplicity, formulated with environmentally-friendly and high-performing surfactant packages, buffers, and preservatives. 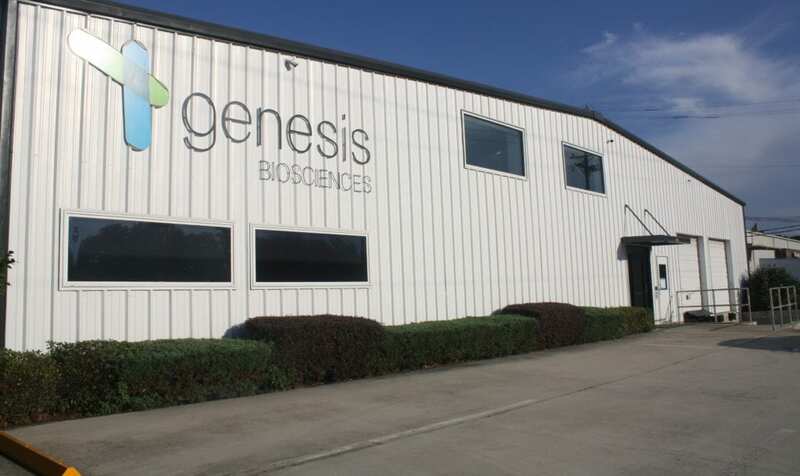 We wanted to celebrate the talented scientists and experts at the helm of Genesis Biosciences. Our ‘Under the microscope’ article shone a spotlight on our experts across both sides of the Atlantic. 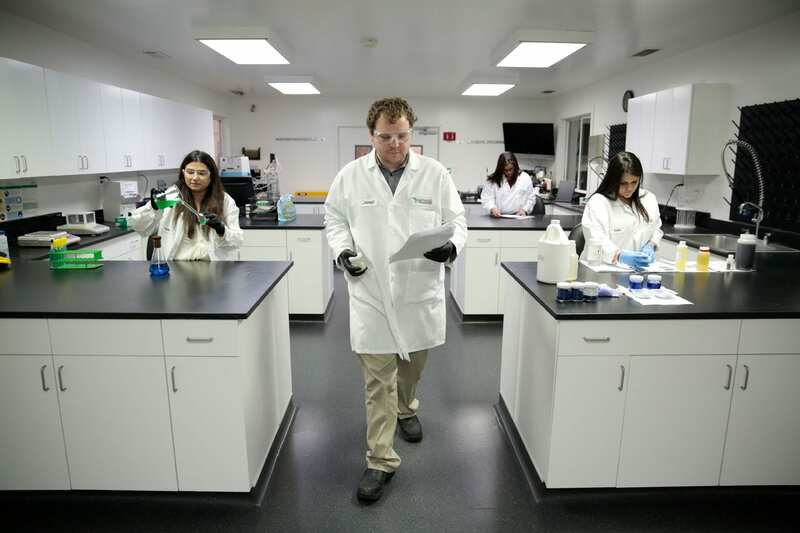 We looked at our various teams covering fermentation, microbiology and compliance. 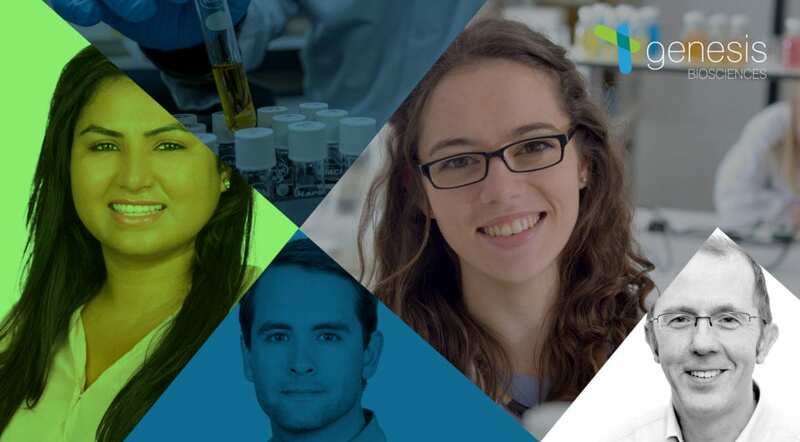 From a former FDA Consumer Safety Officer with 25 years’ experience, to the four PhD scientists in our team – we shared the ways in which our staff excel in their work. 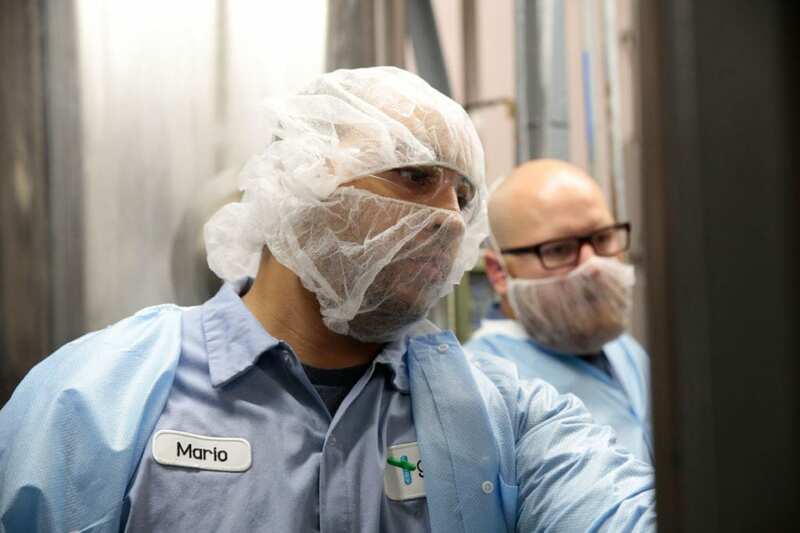 Whether developing our disruptive, natural anti-microbial technology, or working hard to ensure we gear up our facility to approach the FSMA (Food Safety Modernization Act), our people are – quite simply – unrivalled experts in their field. To highlight our individuals’ achievements, we launched a series of Staff Profiles. 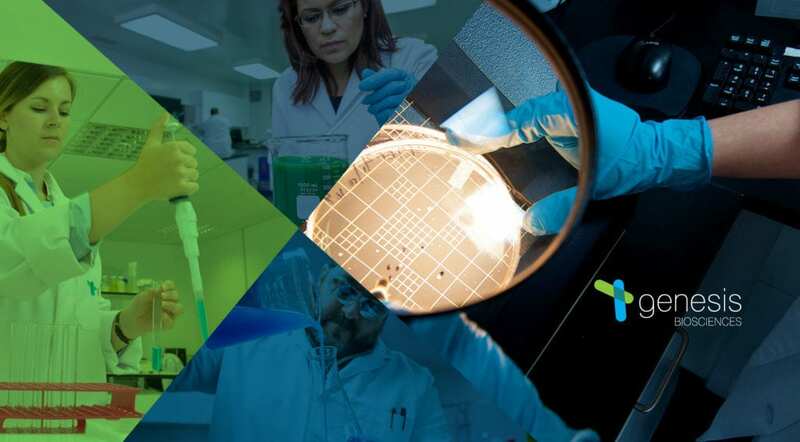 We’re always looking for ways to connect our customers with our experts – to show what they’re really like behind the lab goggles! And so, the end of 2018 gives way to a new year; bringing with it new opportunities for development and for sharing our work. Soon, we’ll be sharing more news on our exciting new facility developments as we continually improve our standards and processes. We’ll be sharing more news in early 2019 – but, for now, the team at Genesis Biosciences would like to wish you a very merry Christmas and a happy new year. Got a question? Want to discuss your requirements, or the possibility of using our products? We’d love to hear from you – please feel free to get in touch and we’ll get back to you.